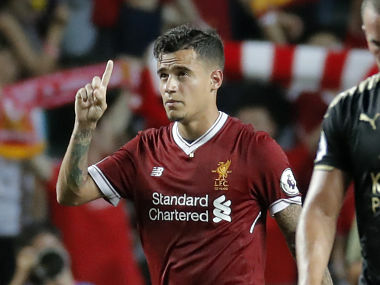 Liverpool manager Jurgen Klopp is insistent on keeping Philippe Coutinho this season but with the player interested in the move to his dream club Barcelona, he says he would “have to accept” it if the owners want to sell the playmaker. The Brazil international submitted a transfer request after the club claimed he was not for sale to any side. The Reds rejected a bid of €100million from the Catalan side that was seeking to make Coutinho the replacement for Neymar. The owners of the club might find it hard to reject such an offer for the 25-year old but the German tactician says he expects them to. “I don’t think Philippe Coutinho will stay at Anfield. He started with a statement calling for an amicable move, but four days later he submitted a transfer request. It is his dream move and I don’t blame him in the slightest,” a former England player Danny Mills opined on the transfer saga. After Liverpool played a 3-3 draw against Watford in their first league game of the new season with Coutinho sitting the game out, there were rumours that the deal might happen. It would be hard to keep a disgruntled player against his wish even though Coutinho needs to play well to start in the Brazilian national team that are early favourites for the 2018 World Cup. Coutinho joined from Inter Milan in 2013 for £8.5 million. He is the best player in the team and he recently signed a new deal in January, which the club can use to force him to stay. However, the deal did not include a release clause.